It was six years ago when the world suffered the tragic lost of Michael Jackson. He was important to all generations. Jackson broke records and racial barriers by changing the face of music and entertainment. Hit after hit, Michael Jackson gained the name, “The King of Pop”. Between selling out shows and winning numerous Grammy’s, Michael Jackson has really made an incredible mark as a household icon. Millennials grew to learn a few hits, but for the generation that grew up hearing songs like, “Workin’ Day and Night”, and “Remember the Time”, it was more than just watching someone become a superstar. Michael Jackson is a name that will forever be one for generations to come. Michael Jackson was born August 29, 1958 growing up in Gary, Indiana. Jackson’s parents, Katherine and Joseph, had ten kids, with Michael being the eighth. 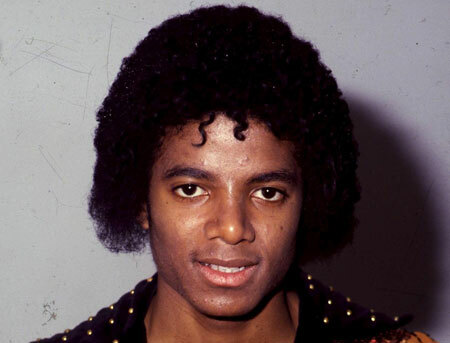 His first break to stardom was when his brothers formed their singing group, “The Jackson Brothers”. Michael then joined the group and the name was changed to The Jackson 5 in 1965. It was not long when the world soon discovered that Michael Jackson was a star. It was not long before people took notice of this talented young artist. In 1975, Michael Jackson, along side with Quincy Jones, produced his first solo album Off the Wall, which includes hits like “Don’t Stop ‘Til You Get Enough”, “Rock With You” and “Rock With You.” Michael was determined to make his next album an even bigger success. In 1983, Michael blessed the world with the best selling album worldwide. Thriller sold an estimated 65 million copies and it was on the Billboard Top 200 for 37 weeks. It is safe to say that Michael Jackson is a creative genius. His music videos were like watching shortened films. His creativity took to new heights and it only was the beginning. One of the most iconic moments in Michael’s career was when he performed “Billie Jean” live at the Pasadena Civic Auditorium. All while wearing the distinctive black sequined jacket and a rhinestone golf glove, Michael debuted his signature dance move, the moonwalk. It is hard to capture the many momentous things that a legend like Michael Jackson has accomplished. Michael Jackson is an icon. But like any person who has the world watching him, the pressure is always on. It almost like he could not do any wrong. On June 25, 2009 the world froze when news broke that Michael Jackson died. Everyone to this day can remember where he or she was when more details about Jackson’s death were revealing. As the world came together to mourn his death, audiences worldwide shared in that magic that Michael Jackson brought to them.